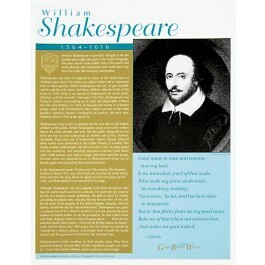 This poster focuses on the great 16th century British playwright and poet, William Shakespeare, considered the greatest writer in the English language. It is one of a series of ten posters of Great British Writers. 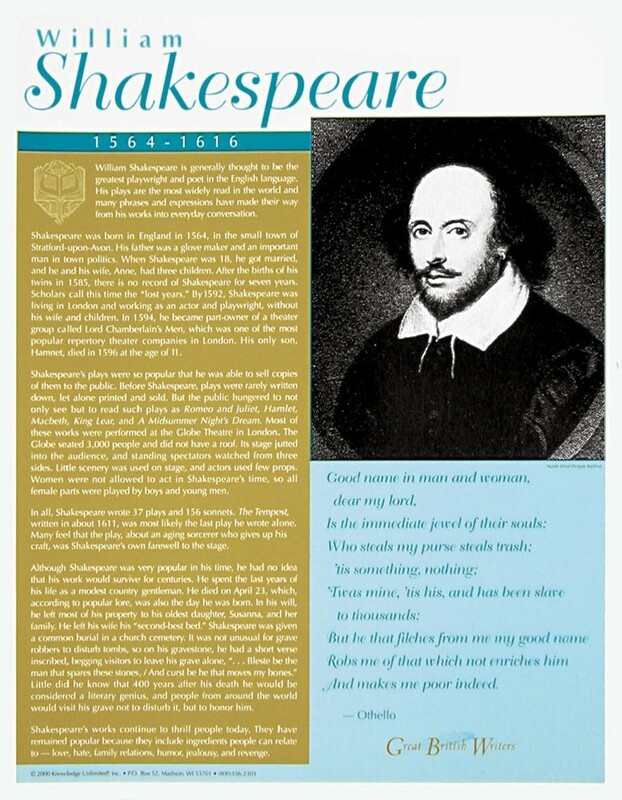 The poster includes an artistic depiction of Shakespeare, along with biographical text and a quote from one of his great tragedies, "Othello."